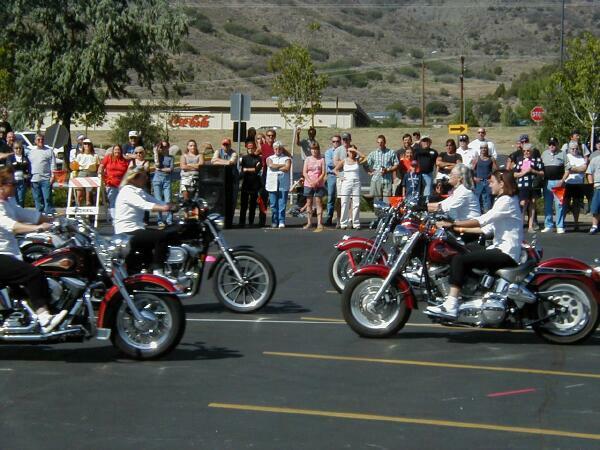 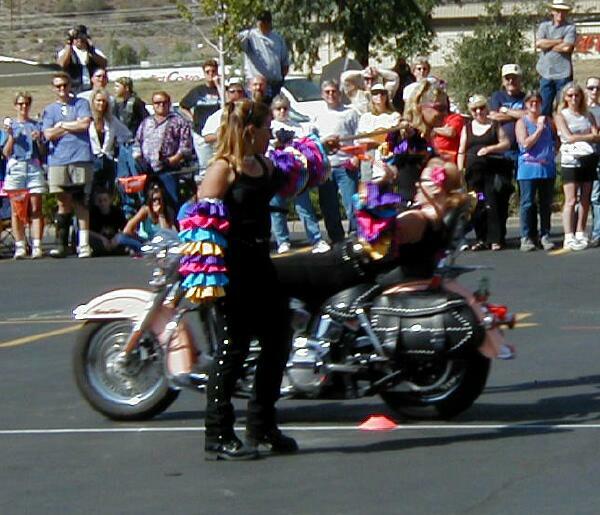 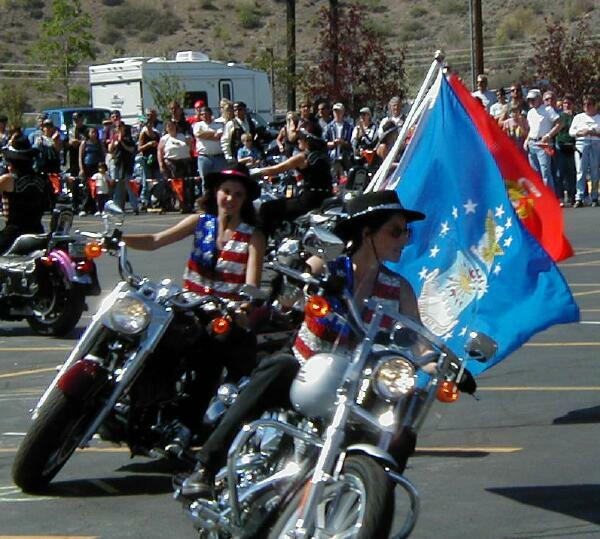 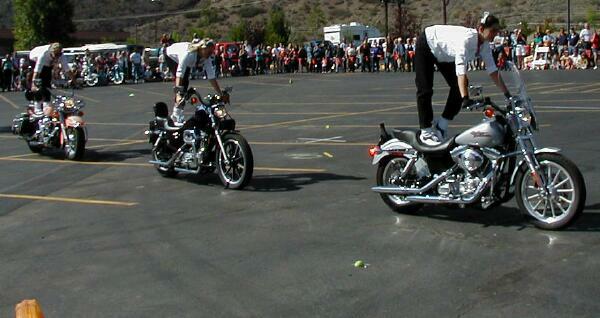 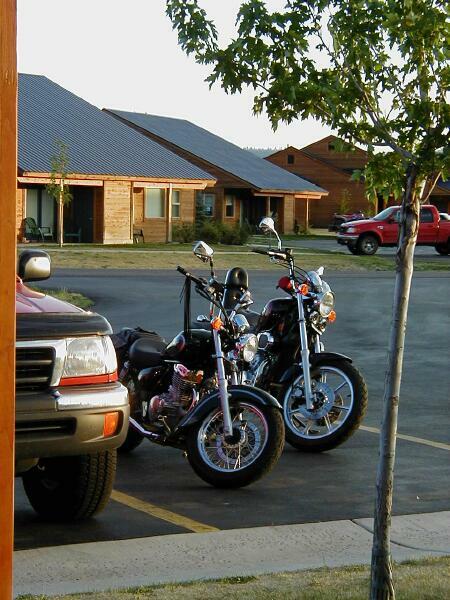 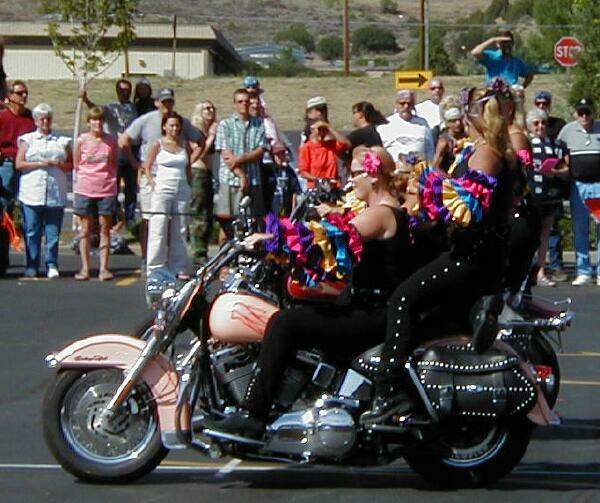 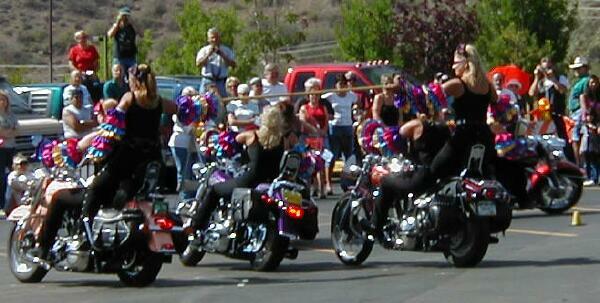 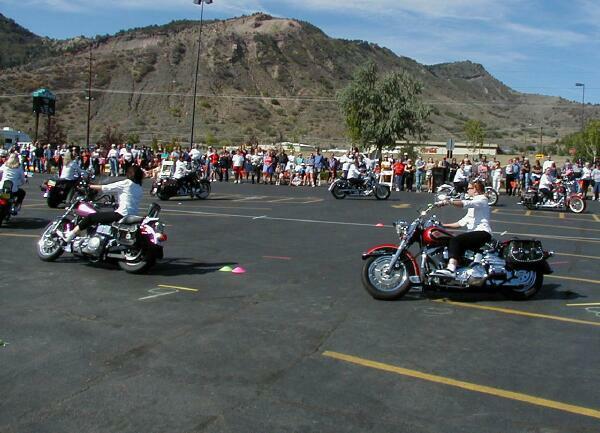 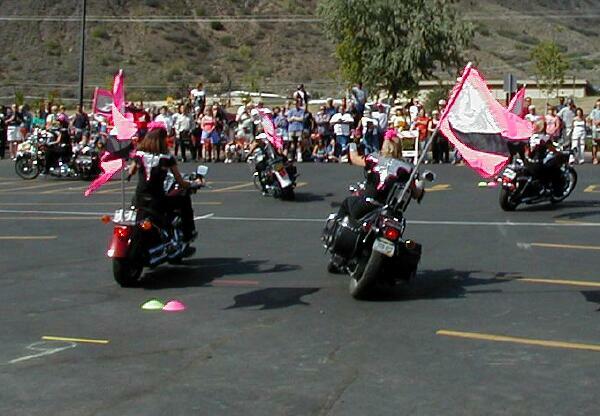 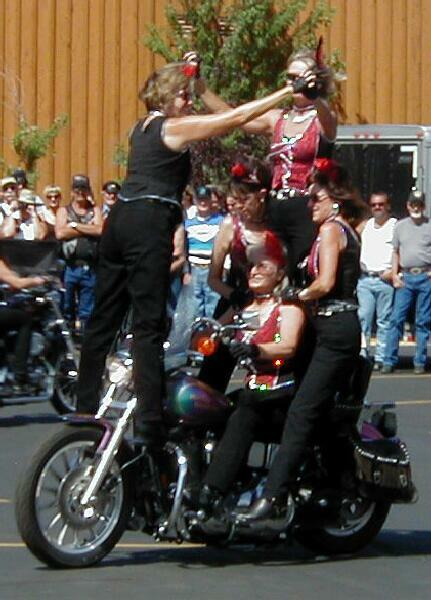 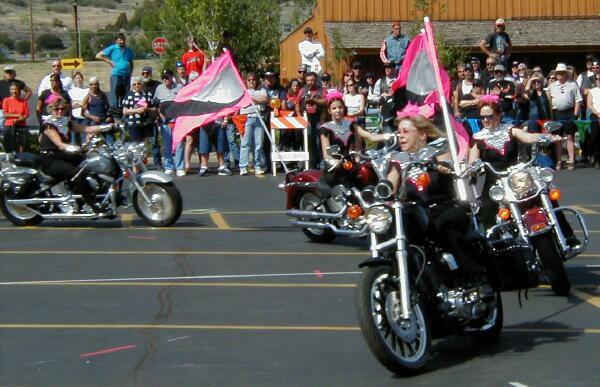 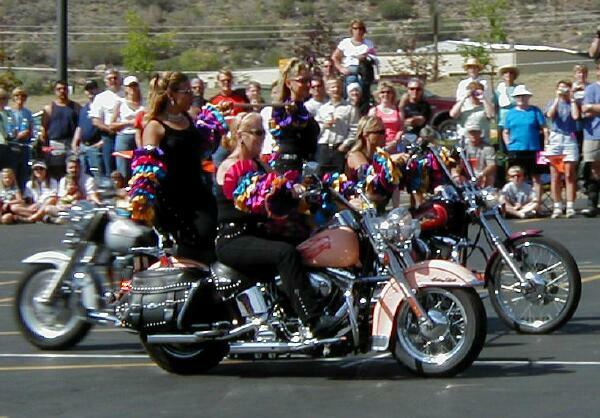 Our first motorcycle rally was to be the Four Corners Iron Horse Rally in Ignacio, Colorado. 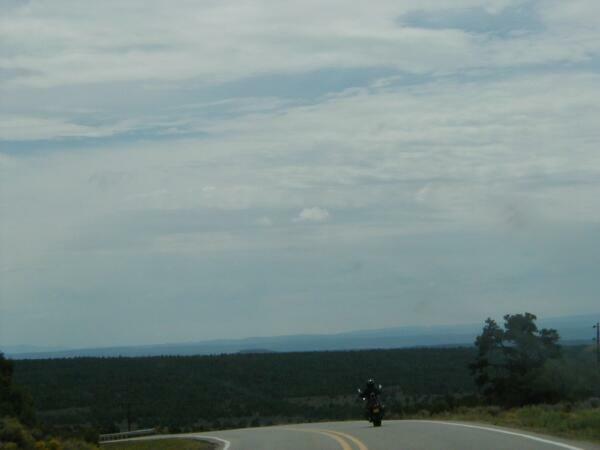 Unfortunately, after nine years in Ignacio this year's rally met with unexpected difficulties in finding a site, and with time running out the rally organizers decided to cancel the event and declare 2003 the "official" 10th anniversary rally. 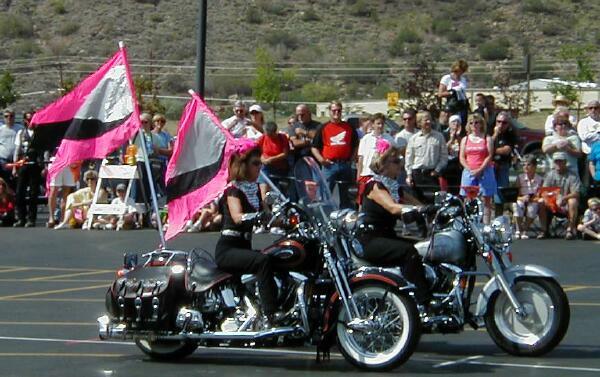 Undeterred by the lack of an organized rally ("Badges? 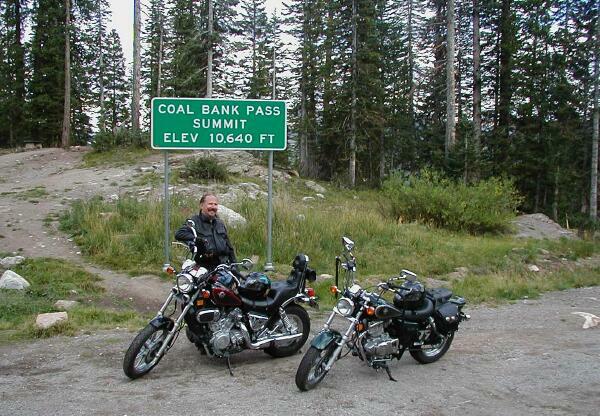 We don't need no stinkin' badges! 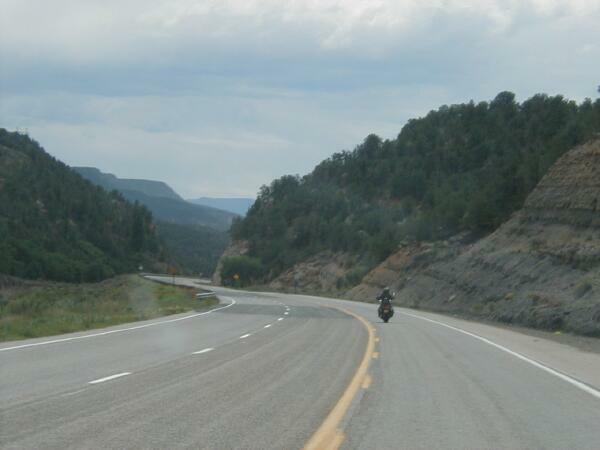 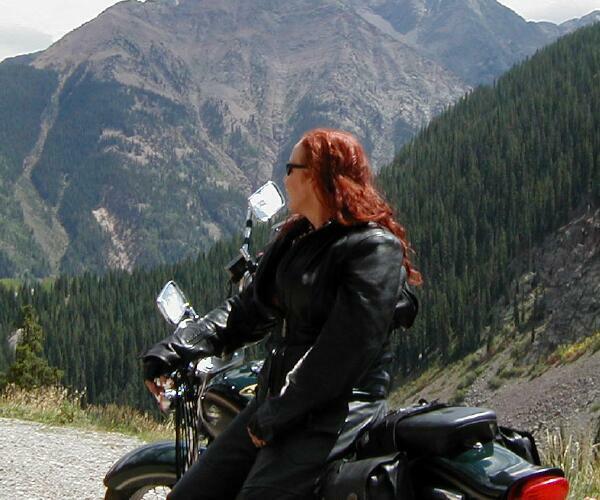 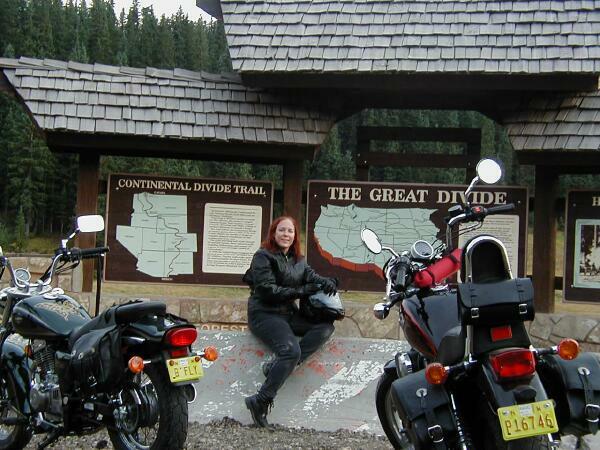 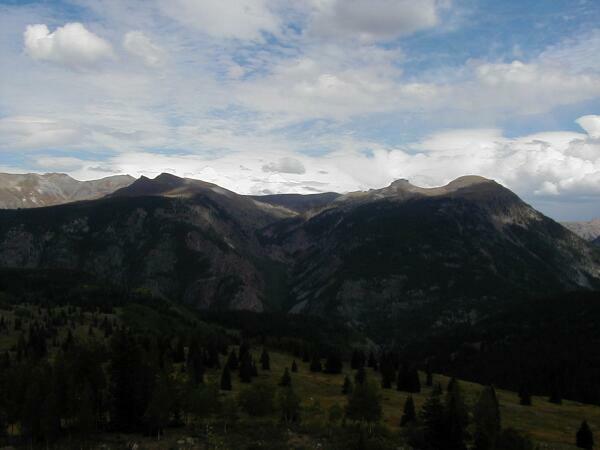 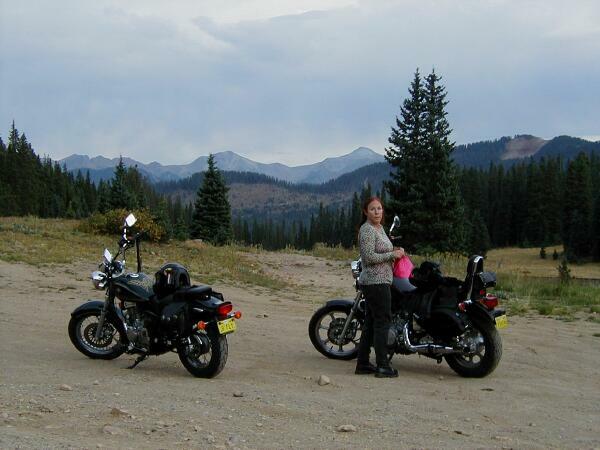 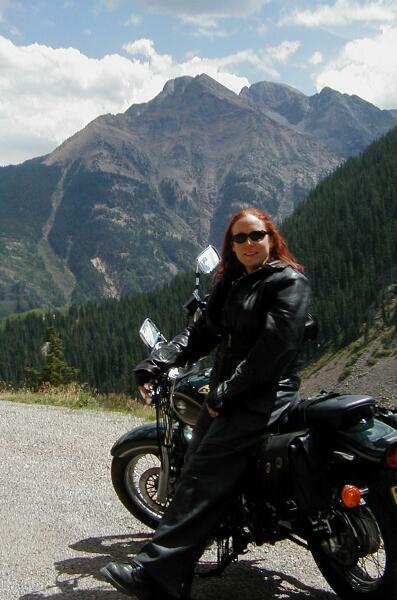 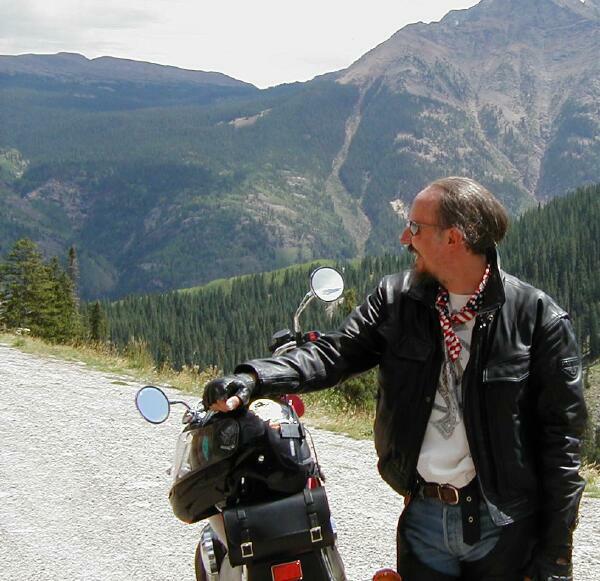 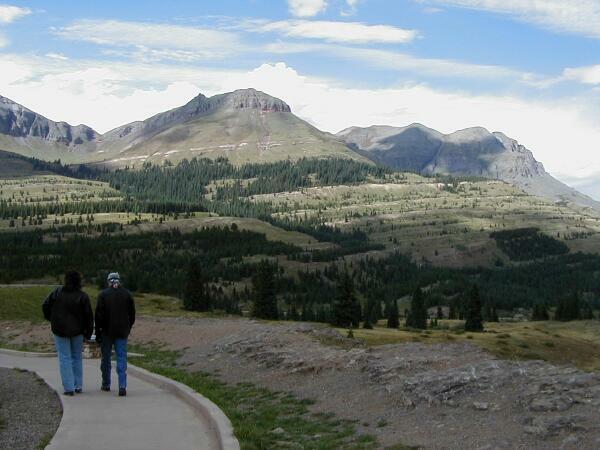 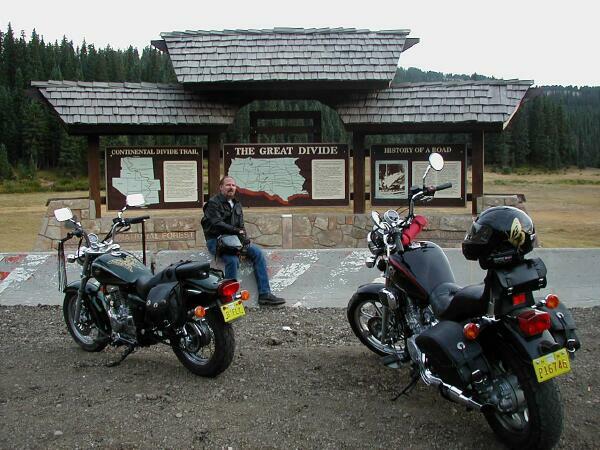 "), we went up to southwestern Colorado on Labor Day weekend for a few days of riding and relaxation. 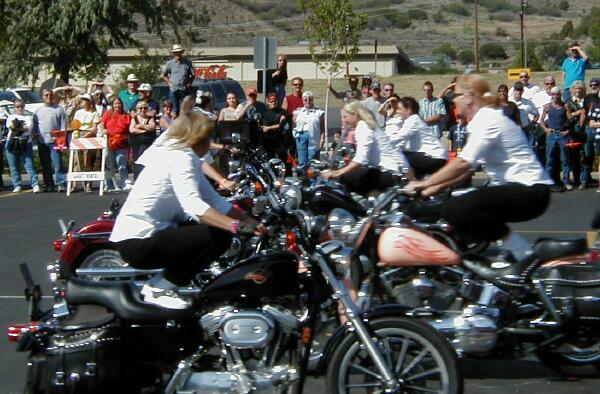 Somehow I suspect that thousands bikers in town with nothing to do was not exactly what the locals opposing the rally were hoping for, but it is what they got. 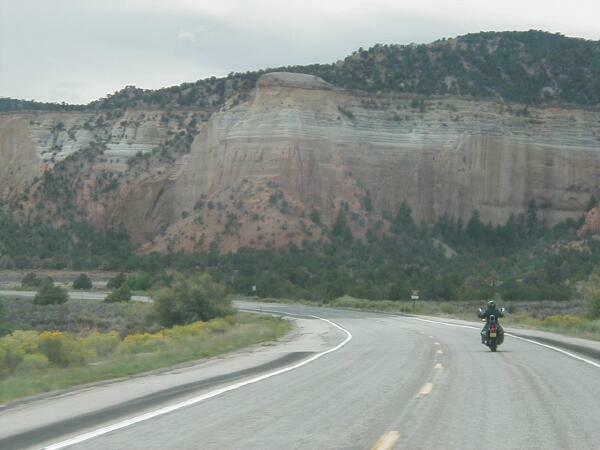 Everyone was very friendly, and the local merchants were without exception happy to have us after a very, very bad year for tourism. 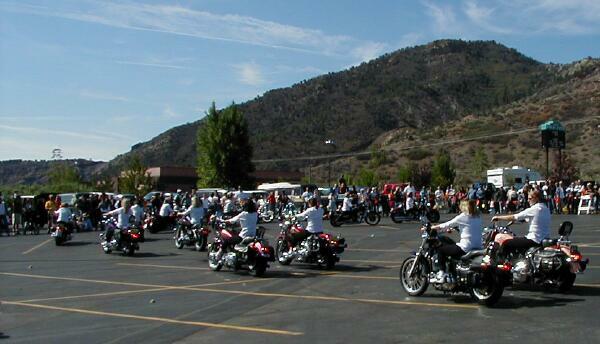 The Durango Harley-Davison dealer and others did a good job of putting together some unofficial activities on the spur of the moment, and Durango was completely filled with bikers everywhere! 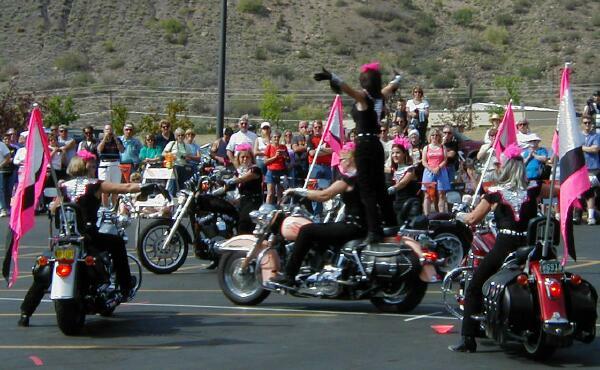 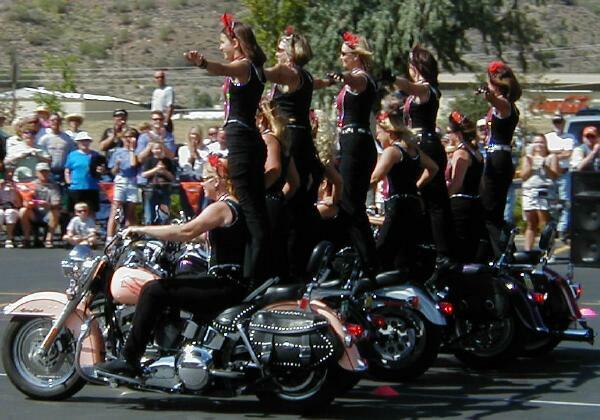 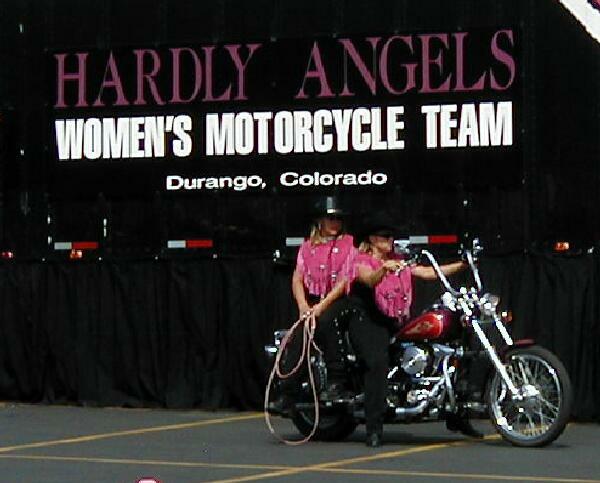 First, a performance by the Durango-based Hardly Angels, an all-woman motorcycle drill team whose members range in age from 13 to 60 years. 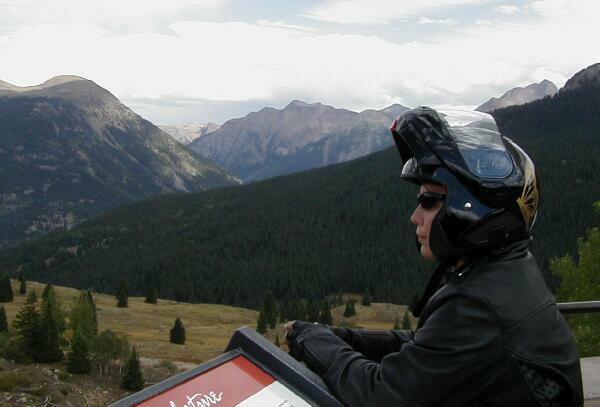 Their control and precision give me something to aspire to as I gain experience on the seat. 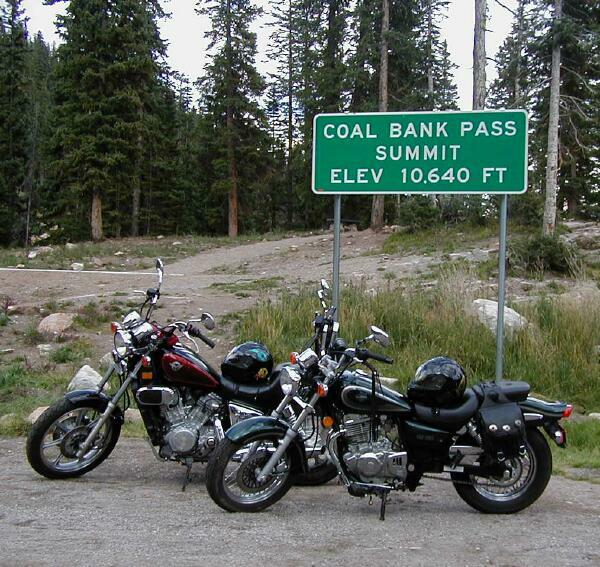 And then a lovely, winding ride over Coal Bank Pass to Silverton, Colorado, for lunch and shopping. 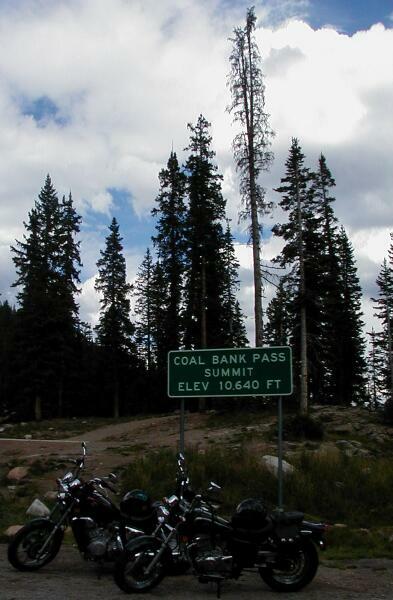 Since Coal Bank Pass was so much fun, we decided to run up to the summit of Wolf Creek Pass too. 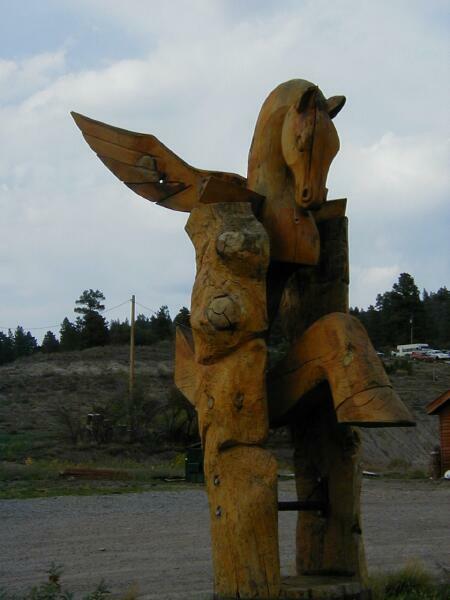 Finally, a few other miscellaneous memories from the trip: trikes on steroids in the parking lot, a giant rocking horse (sort of) on the way from Pagosa Springs to Durango, and the bikes having a short rest at the condo. 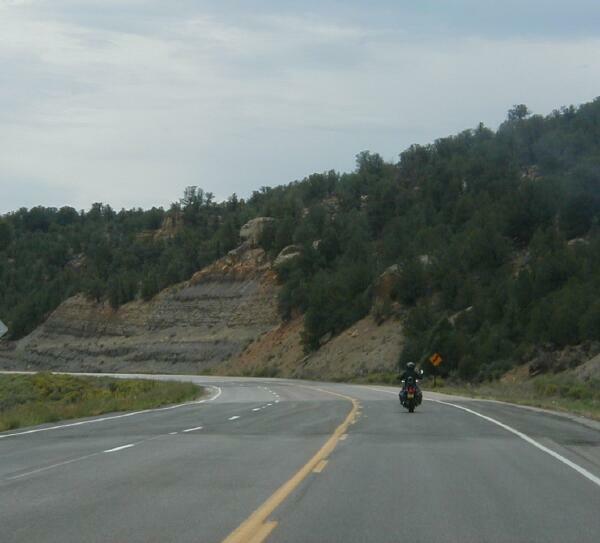 On the way home, I got in a few miles on my new bike!